Cincinnati Museum Center. 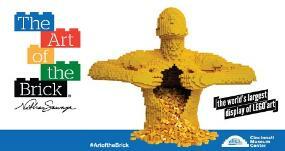 The Art of the Brick is open through May 1, 2016. 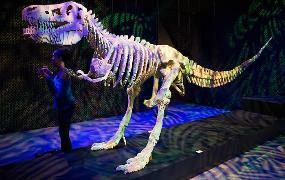 20-foot long T-Rex skeleton made using more than 80,000 LEGO bricks.